The Savvy Rest Unity Pillow Top is the purist nontoxic mattress offered. Savvy Rest takes its responsibility seriously by making available the most natural organic mattress in the bedding business. Your new organic mattress will have a flexible modular design, making it easy to replace or exchange pieces if it were ever necessary. If you are concerned about indoor air pollution from harmful mattress toxins in the bedroom, the Savvy Rest Unity Pillow Top Organic is the perfect solution. You will rest assured knowing that you will sleep at ease by avoiding not only indoor toxins, but also those hazards posed to our surroundings and precious landfill spaces. Natural Latex rubber is the longest lasting. If a part were to break down, however, that specific part could be easily replaced. 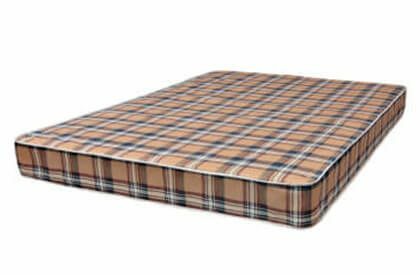 The Unity Pillow Top is a less expensive solution that lengthens mattress life and doesn’t require throwing away the entire mattress. Pick a size and then select 3 luxurious comfort layers of long lasting Dunlop latex rubber to customize for that perfect feel in your new mattress. The core 10-inch mattress portion is our best-selling mattress, and by adding the pillow top topper the bed is simply a little piece of heaven. The most popular layering arrangement for this bed is bottom up in 3 inches Firm, 3 inches Medium, and 3 inches Soft layering. To top off this bed, the pillow topper is 3 inches extra of natural soft Dunlop rubber. You customize the feel with the layers of choice. Looking for more help? Contact us. Educational details shared below. 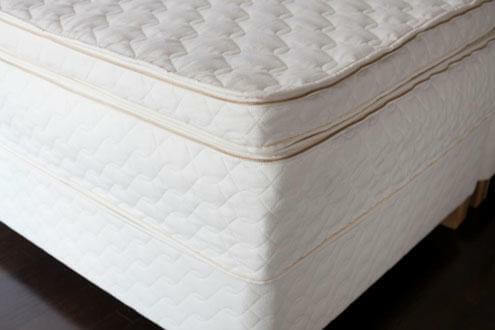 Mattress: Unity 10” Mattress which includes three 3 inch layers of Natural Dunlop Latex Rubber. Two Sleepers? Not quite sure if both of you want the same firmness? Firmness preferences can be customized for each sleeper at no extra charge. Simply select the split layer option instead of the 1 piece solid layer option. Heard the news? Savvy Rest is GOTS Certified.